Hardwood Flooring | Owen Sound, ON - Greyfair Flooring, Inc.
Do you want to upgrade the look and feel of your home? Make a significant investment in the appeal and value of your home with our hardwood floors. Our flooring store is stocked with engineered and solid hardwood flooring options. We staff sales experts that have extensive knowledge concerning different types of woods, flooring styles, and hardwood brands. We also offer timely and effective professional hardwood flooring installation. Choose timeless and elegant hardwood flooring in Owen Sound, ON to improve any area or room in your home. We make it easy and simple for you to find the right type of wood flooring that best fits your aesthetic and functional needs. Whether you already know what type of atmosphere you want to create in your home or are in the planning stages, we can help. Our showroom boasts a variety of wood grains, styles, and patterns that ensure your home is decorated in a way that showcases your own distinctive designs tastes. As a locally owned and operated flooring store, we have the means and resources to create a truly unique shopping experience. Our home improvement center carries brands that manufacture superb wood flooring that are sure to delight your inner interior designer. No matter the scope of your renovation project, rely on us find the right materials to increase the appearance of your home. We carry all types of hardwood, including engineered hardwood floors. These strong floors are moisture-resistant and comprised of layers that make them extremely stable. The inner layers consist of plywood and the top layer is a hardwood veneer made from the species of your choice. We recommend this flooring because it is strong, has a center made from renewable woods, and is a more eco-friendly type of wood. 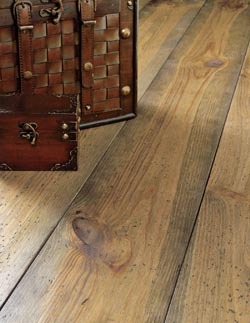 Humidity and moisture can be a problem for typical wood floors, but not for engineered wood floors. This is what makes them perfect additions to moisture-prone areas like a kitchen, basement, or bathroom. You also don’t have to worry about the floors buckling during warm, dry seasons. Their cross-ply construction keeps the planks from shrinking and expanding when the humidity rises. Knowing you want hardwood flooring still leaves you with hundreds of options. We make it possible for you to see the actual style in your space. Many of our clients are surprised to see just how easy it can be to make a decision once the hardwood flooring samples are seen in the actual space that is going to be renovated. Once you’ve purchased the right floors for you, allow us to help you install them. Leaving the work to trained professionals ensures that the job is done right and on schedule. We’re committed to making sure you enjoy your floors as quickly as possible. We offer some of the best warranties in the industry. Our commitment to our customers has never wavered and we continue to provide guarantees that show we stick to our word. We pledge to offer you quality products at low prices. Our Price Protection Guarantee states that if you purchase a product from our flooring store and find that product of the same brand and style at a competitor’s store at a lower price, we’ll refund you the difference. It just has to be within 30 days of your original purchase. Knowing you want a hardwood flooring installation still leaves you with a number of options. We make it possible for you to see the actual style in your space. Many of our clients are surprised to see just how easy it can be to make a decision once the hardwood flooring samples are seen in the actual space that is going to be renovated. Rely on our team to help you select the perfect hardwood floors to help transform any room in your home. Contact us today to learn more about the types of hardwood flooring available in our showroom. We are proud to serve clients in Owen Sound, Port Eglin, Wiarton, Kincardine, Hanover, Meaford, Flesherton, Tobermory, ON, and the surrounding areas.